Contrary to what many may have assumed, this issue, and allied issues of non direct eye-ball supervision, have pervaded in various guises in Halacha. Sound waves for promulgation of Brachos or Megila reading (Igros Moshe (vol 2 and 4, Rav Shlomo Zalman Auerbach, Minchas Shlomo 1:9), Minchas Elozor and more. Consider though why one would do this in the context of Chalav Yisrael. Let’s assume, which it is according to some authorities (cf Chasam Sofer Yoreh Deah 107), a valid substitute for a human being watching the milking. Even Reb Moshe who is one of the two prime permissive positive rulings in respect of Milk from Companies, explicitly says that a Baal Nefesh, (someone who is extra punctilious) should be Machmir. In Melbourne at least, and I assume throughout the world, it is mainly Chassidim who are careful and do consider themselves as Baalei Nefesh not relying on the permissive rulings of the Chazon Ish and Reb Moshe Feinstein regarding government supervised milk. Those people, will follow their Poskim. Their poskim have shown in allied issues that they are often not prepared to rely on video surveillance as a halachic mechanism. Note: just as there is Chemical Halacha, Kashrus Chemistry, Shabbos Chemistry, there are also Kashrus stringencies. These are adopted by communal organisations so that there is a unified acceptable standard. 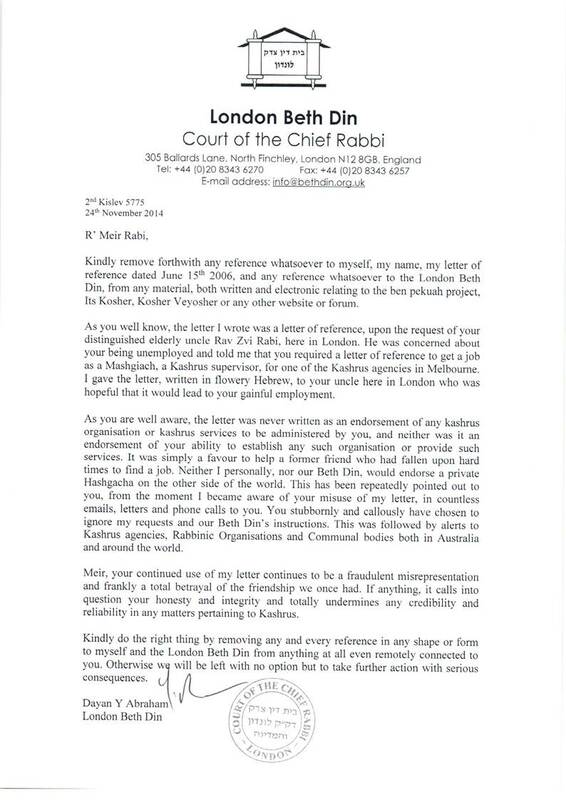 On several occasions Rav Schachter of the OU disagreed with Rav Belsky ז’ל of the OU on matters of Psak, however, when it came to Paskening for the OU, something which a mega-community could rely on, they adopted the less inventive stance. This is sensible unless one wishes to branch off. Branching off may mean less supported Kashrus ends up not being accepted and then it creates situations where people are forced not to eat at houses where the non standard form of supervision or maverick schemes are adopted. A pirud, a limitation of joining one’s friends at the table ensues. This only benefits those non standardised more maverick supervisory bodies, many of which are also run as personal financial fiefdoms. The only application I can think of is export. But those Hashgachos don’t export. Note, for example, if you go to Costco, you will find the plain Lay’s chips with an OU, but the barbecue do not have an OU. Instead the triangle K is the Hashgocho (this is also true of other products with Triangle K; be careful) . In general, the frum world does not trust the standards of the triangle K (and we don’t bring it in the house). It has a place. Where there is a need to find leniency so that people have access to food! This is similar to the law of Pas Palter, if you will. Let us not forget that Chassidim ascribe a supernatural concern with ingestion of questionable milk and will be unlikely to consider compromise. The others simply rely on the Chazon Ish or Reb Moshe anyway! I remain baffled by the motives behind the venture, its clientele, and the motive of those who seek such innovations when the prospective clientele are already the Baal Nefesh and won’t accept the Psak. Is this just grandstanding?